Why isn't Stephen Curry in the NBA MVP conversation? Why isn’t Stephen Curry in the NBA MVP conversation? 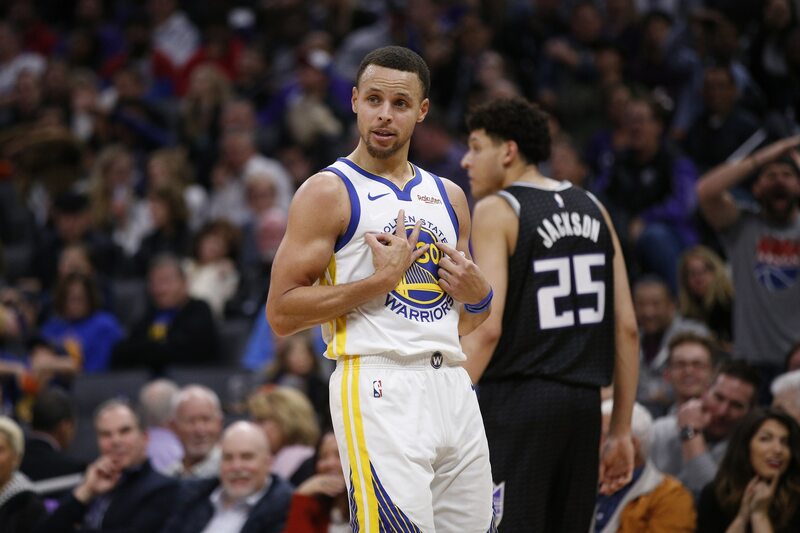 Stephen Curry treated the Dallas Mavericks like his personal amusement park Sunday night. He hit 11 three-pointers en route to dropping 48 points. That included this dagger of a shot with the game tied late in the fourth quarter. Steph Curry vs the Mavs! As hard as it is to believe that Curry might very well be underrated, that’s what we’re seeing right now. The two-time MVP is as important to his team as any player in the Association — LeBron James and James Harden included. So what’s keeping Curry out of the MVP conversation as the second half of the NBA season continues? That’s certainly a question fans in the Bay Area have to be asking themselves after what we’ve seen from Curry this season. The three-time MVP is averaging 29.4 points on a robust 49 percent from the field. He’s also shooting a stealth-like 46 percent from three-point range. Those basic stats tell us a story of one of the best players on the planet. But it’s about a whole heck of a lot more than that. Curry missed 12 games to injury earlier this season. Golden State posted a very un-Warrior-like 5-7 record during that span. The team is 24-7 with Curry on the court. This might not be as dramatic of a split as we’re seeing in Los Angeles with Lakers star LeBron James sidelined. But it is comparable. Some will say that Curry missing what would ultimately be 15 percent of the regular season disqualifies him from MVP candidacy. If that’s the case, wouldn’t King James also be out of the running? Can’t have different rules for two players, right? When on the court, Stephen has just been superhuman. He ranks in the top 20 of the NBA in offensive win shares, offensive rating and win shares per 48 minutes. Curry is also second behind James Harden in offensive plus-minus and ninth in overall plus-minus this season. We’re seeing greatness play out right in front of our faces and no one outside of the Bay Area is paying attention. Sure there’s Warriors fatigue around the Association. Looking for their fifth NBA Finals appearance in as many seasons and fourth title during that span, said fatigue makes sense. But that hasn’t stopped New England Patriots quarterback Tom Brady from being a perennial MVP candidate in the face of the national media. What makes Curry so different from Brady? It will be interesting to see how this thing plays out. Rockets guard James Harden has to be considered the front runner for MVP. But after that, there’s absolutely no one in the Association more deserving of recognition than Curry.